Why is GAMM fit so poor? 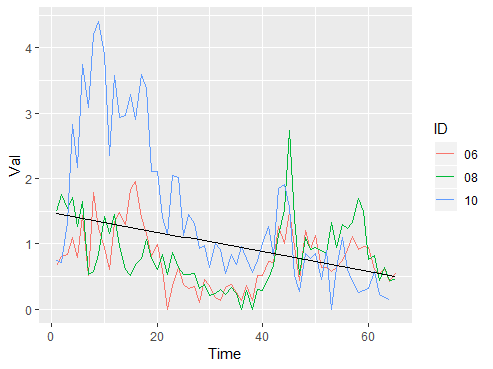 I have annual measurements of these 3 IDs and would like to visualise their overall trend (one curve) using R's gamm function in order to control for autocorrelation within each ID. However, I am suprised the fit is so "linear"? Am I doing anything wrong? "10", "10", "10", "10", "10", "10", "10", "10", "10", "10", "10"
How to specify autocorrelation in GAMM?